July 2017 – Would you like to be a professional photographer or are you just starting out as a pro? Going pro in the age of ubiquitous cell phone imagery is a risky endeavor, much more risky than in the days of film. 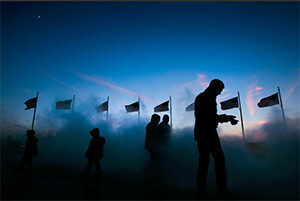 In this issue we take a look at one photographerwho worked his way into his dream photojournalist position. We also take a look at an alpinist photographer working his first gig for National Geographic who realized that incorporating drones and 360 video could make his work stand out. experience you have. That’s just what alpinist and photographer Renan Ozturk did to cover this compelling story of a small community of Himaliyans who withstand a vibrating mass of thousands of giant honey bees to harvest the honey that sells on the black market for $60 to $80 per pound. 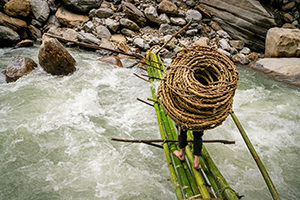 All this is done while dangling 300 feet in the air from a bamboo rope ladder. Despite the pressure of a first gig Ozturk delivered with stills, video, drone video and 360 immersive video all while dangling off the side of a super-scary cliff. If you need a bar to hit for your dream first gig, here it is. Many of us who love photography dream of making our living as a shooter. Now everyone with a smart phone is a photographer which exponentially raises the supply of photographs in the market, driving down prices and making it virtually impossible to make enough money to pay the bills. But, is that really the case? Is photography about supply and demand or is it about the supply and demand for great photography. Find out in this video highlighting how Andrew Harnik broke through to become a high level photojournalist. His advice applies to all genres of photography. See this interesting video HERE. If you’re looking to add drama to your landscapes then using long exposures can give you the pop you’re looking for. Photographer Adam West is a master at using long, multi-minute exposures to inject a smooth look to clouds, water and celestial movement in his photos. 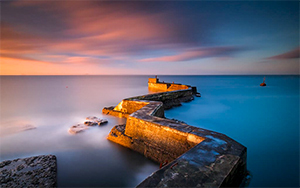 This article takes you through shooting skys, lakes, seascapes and more. Up your knowledge by checking this out. 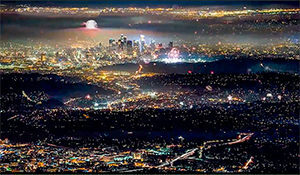 Timelapse – July 4th Over L.A.
Light pollution? Indeed. “Los Angeles” is an expansive entity. It spreads from the Angeles Mountains in the north to Santa Monica in the west, Pasadena in the east and beyond. All those locations get really into July 4th and its festivities. “Creative director and photographer Dylan Schwartz posted up at the Mount Wilson Observatory on July 4 and waited for the sky to light up. From that vantage point, altitude: 5,715 feet, he could see the entire L.A. basin.” The resulting time-lapse video is impressive. Check it out. 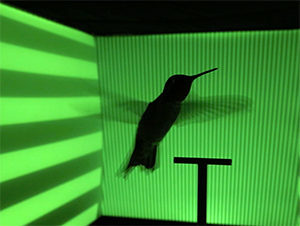 If you’ve seen a hummingbird at work you won’t be seeing their wings because they flap at up to 100 times per second! They are the only birds that can hover in one place for 30 seconds or more. Photographer Anand Varma using a high-speed, high-resolution camera captures what the eye can’t see in this remarkable set of videos. Enjoy the article and video HERE. Grand vistas are the life blood of nature and landscape photography. But, we can’t always find the time or resources to make the trip to a national park or the sea shore. The next best option is to look around your own area for a forest environment. 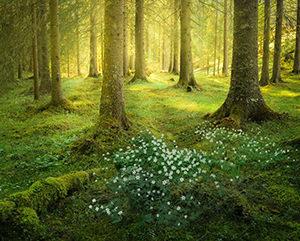 Forest photography is not easy but this article by Norwegian photographer Dag Ole Nordhaug is a sophisticated look at the techniques required. Learn about forest technique HERE.